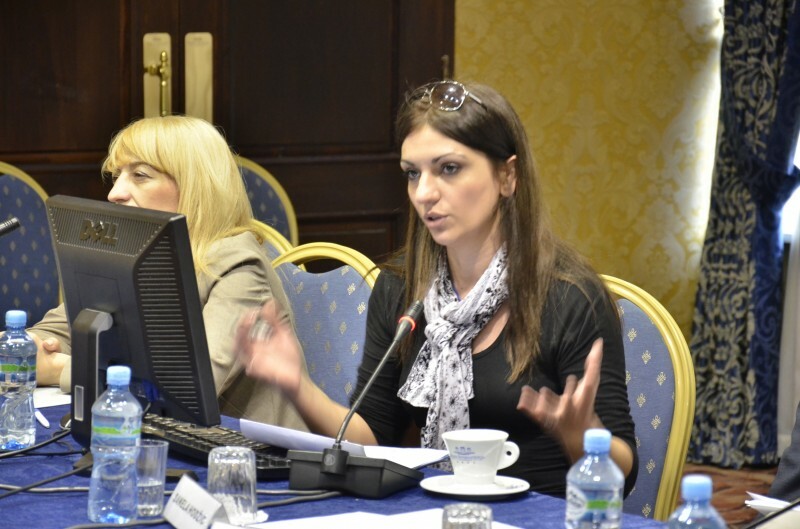 Meri Jordanovska speaking at a conference of the South East European Media Observatory. Photo credit: SEE. Each report on one of my wiretapped conversations was true: the date, the story I was working on and the sources I was getting briefed by. Everything was correct. I am not sure I will get another “diploma”. This folder was more than enough for me to clearly see what is happening in my country. I can clearly see that someone knew in advance what story I was working on. Enough for me to conclude that my sources of information were endangered. Enough for the centers of power to be able to react preventively before the story was published. Enough to become aware, even though I had always suspected this, that some people know the problems of those closest to me – people who had shared personal matters with me over the phone. Jordanovska received a file containing surveillance of her communications during a press conference by the opposition party SDSM, at which representatives of the party also revealed that journalists had been wiretapped en masse in Macedonia. Besides publishing several conversation as proof, twenty journalists were given folders with CDs containing their own files, leaked by sources from within the Ministry of Interior. Her text is also available in Macedonian and has been republished by several independent portals in her home country, including Mojot grad. SDSM leader Zoran Zaev claims that National Security Services illegally targeted over twenty thousand people with the surveillance, which involved illegally recording and storing phone conversations of these individuals over at least four years. His party has not yet published a list of all the alleged victims, nor a list of the wiretapped phone numbers. According to SDSM representatives, these included both citizens of Macedonia and foreigners using local telecom services, including several diplomats.